Before he was involved in launching the firm of MapleWood Partners, Robert V. Glaser established himself and achieved monumental success during his time with Investcorp. Founded in 1982, Investcorp manages alternative investment products on a global level. Its clients are primarily based in the six counties comprising the Cooperation Council for the Arab States of the Gulf, better known as the Gulf Cooperation Council. However, the firm also works with institutional clients based in Europe and North America. 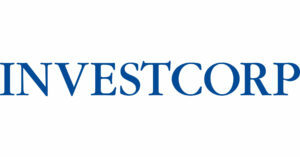 Investcorp’s current offices are located in New York City, Singapore, Bahrain, Doha, London, Riyadh, and Abu Dhabi. Robert Glaser played an integral role in overseeing the New York office in its early days. Investcorp provides a multitude of investments including corporate investment, real estate, credit management and alternative investment solutions. Collectively, the firm has arranged investments with a total value of about $53 billion. The private equity of the real estate properties and companies acquired by Investcorp are generally acquired directly with investors via a fund structure and deal by deal basis with investors. The incredible and ongoing success of Investcorp’s success can be attributed in part to its concentration on seeking out mid-sized companies with established managers, a concrete cash flow, a reputable position with their industry, growth potential, and an illustriously admirable track record. The firm’s portfolio is made up of more than 150 investments totaling nearly $40 billion in transaction value. These various investments include Sur La Table which sells kitchenware, online hotel reservation management software Eviivo, and SecureLink, a prominent European cybersecurity infrastructure, and managed services provider.